Both teams should join in a firm handshake for mutual benefit, but historically work at arms’ length. What new research now shows. 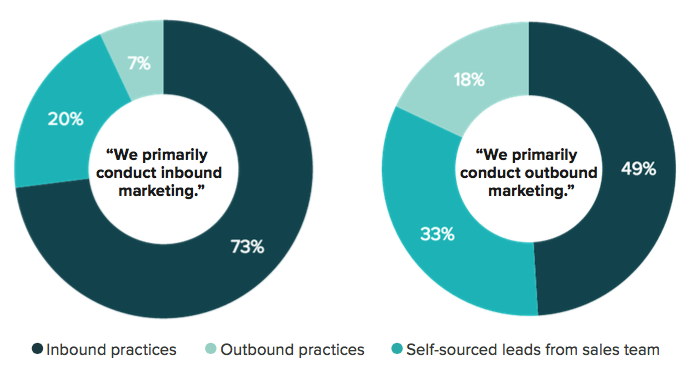 Each year, one of Living Stone’s key inbound marketing partners, HubSpot, releases a State of Inbound research report. Its eighth annual edition covering attitudes and trends for 2016 was issued in September. Thousands of marketing and sales people worldwide were interviewed about their challenges, priorities and strategies. Most were from marketing agencies (17%); others include IT and services (13%), industrial and manufacturing (5%), and healthcare (4%). Among all respondents, 73% said inbound was their primary approach to marketing. For subjectivity, only 15% were HubSpot customers or agency partners. This and subsequent blogs will describe the report’s key revelations. This covers the challenge of aligning inbound marketing and sales roles. Marketing and Sales should work like hand and glove. A solid, cooperative handshake between them always produces optimal success where inbound marketing is concerned. But that’s not always the case as old, divisive mindsets die hard. As a result, formal written performance contracts called Service Level Agreements (SLAs) have recently been tried. They officially define precise expectations from each group. For Marketing, it’s providing high quality, properly quantified and vetted inbound leads to Sales. For Sales, it specifies how fully and frequently it will pursue each qualified lead, as well as sets specific procedures to report outcomes. It’s believed formal SLAs better align Marketing and Sales. Without them, both teams tend to keep to their comfortable silos. So has anything changed? The survey found only 22% of inbound marketing respondents have a SLA between Marketing and Sales. 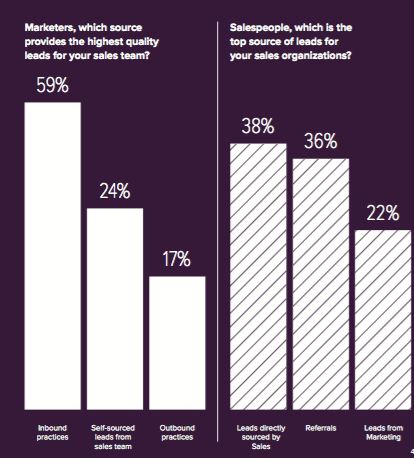 Yet of that, 44% said Sales and Marketing in their organization are fairly well aligned. 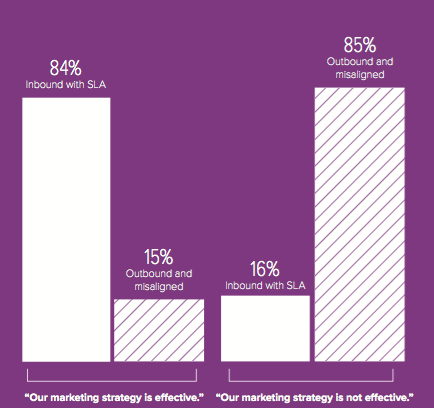 Furthermore, 80% of inbound marketers with an SLA said the Sales/Marketing relationship was indeed effective. How would you characterize your company’s sales and marketing relationship? Of company’s who say their marketing strategy is effective, how aligned is their Sales and Marketing relationship? It gets better. At 84%, inbound organizations with a SLA report being more than five times likely to rate their marketing strategy as effective. This contrasts sharply with ineffectiveness expressed by outbound organizations with misaligned Marketing and Sales teams. Based on how you characterized your company’s Marketing and Sales relationship, do you feel that your marketing strategy is efective? 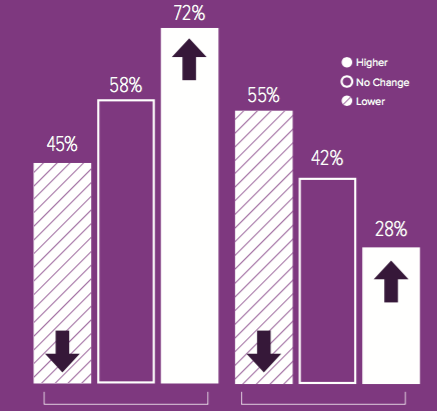 How does your company’s current budget for inbound marketing compare to last year’s? 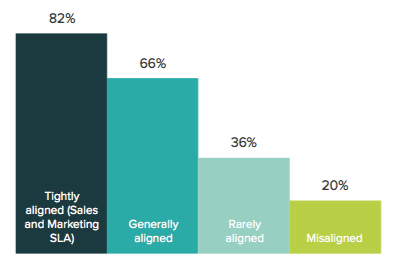 While not surprising, inbound marketing programs that achieve solid sales results through good Sales/Marketing alignment are twice as likely to get bigger annual budgets. Despite the survey showing the positive impact of SLAs on inbound marketing programs, there remains a need for Marketing and Sales to communicate better over lead quality. That’s because Marketing believes high quality leads comes from inbound sources. But Sales ranks these leads last behind referrals and self-sourced leads. Despite the helpful adherence to a SLA, an old disconnect still exists. Lead quality is a sore spot. How would you rate the quality of the leads you receive from the following sources? Based on your organization’s primary marketing approach, which source provides the highest quality leads for your sales team? Based on your company’s Marketing and Sales relationship, which source provides the highest quality leads for your sales team? The HubSpot report concludes it’s about communication. “Maybe there’s room for improvement on Marketing-sourced leads, but Marketing won’t know what needs to be fixed unless there’s a feedback mechanism built into the Marketing and Sales relationship,” it says. Up to this point, merely asking for better communications between the two groups is a hollow request. Evolving sales enablement technology now offers a viable answer to the lead quality issue. Platforms like Showpad allow automatic tracking and measurement of B2B marketing content through late-stage sales activities, including final presentations prior to deal closing. It’s a systematized means for marketers to track and measure the effectiveness of leads throughout their life cycle, which can start at inbound marketing and continue through contract signing. It’s based on when sales tools are ‘activated’ and deployed from digital storage. It also relieves sales reps of the burden of personally communicating this information back to marketing. Read a customer reference study showing how this actually works in a real end-use situation.